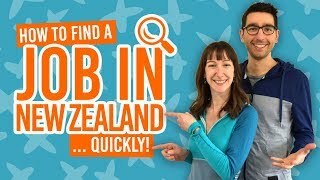 How to see most of New Zealand in under two weeks! 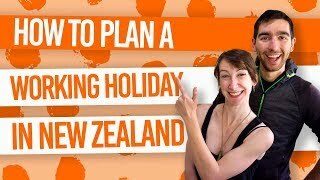 You know how it is, you only have two weeks’ holiday from work but a burning desire to explore New Zealand! What if we told you it can be done? You can see a great deal of Aotearoa (the Maori name for New Zealand) in just 10 days! That leaves you two extra days for your flight here and back. Easy! 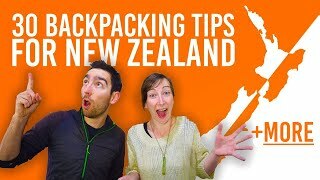 Let’s see how you can travel New Zealand in 10 days. This itinerary if definitely for those who want to tick the boxes. You want a variety scenery, from beaches to snowy mountains, that New Zealand is famous for: check! You want to experience adrenaline-pumping thrills with world-leading operators: check! You want a taste of Kiwi city life, from the quaint towns to the artistic big cities: check! You want to walk on glaciers and cruise into majestic fiords: check and check! So throw on your backpack and get ready for an action-packed trip in New Zealand that you’ll never forget. 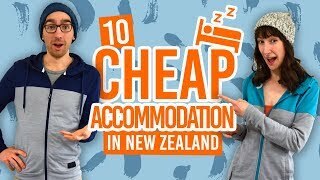 1# A bus network route to cut out the hassle – As you have probably guessed, 10 Days to see as much of New Zealand as possible is going to be a tiring trip. Luckily, New Zealand has a super-connected bus network that cuts the hassle of driving yourself out of the equation. The Aotearoa Explorer pass with InterCity hits all the destinations on the itinerary below. Plus, it includes a few sneaky perks like activities, the ferry between Wellington and Picton, and the TranzAlpine train journey. 2# Scenic drives – Knowing that scenery is a huge draw card for New Zealand, we’ve also made sure the itinerary includes some mind-blowing scenery from the beach towns in the Bay of Island to the highest peaks of the Southern Alps in the South Island. 3# A variety of activities – This itinerary will take you to places where you will be spoiled for choice with activities. Expect city sight-seeing, island-hopping, Middle-earth magic, adrenaline-pumping activities, free activities, relaxing in natural hot pools, exploring geothermal valleys, having Maori cultural experiences, and so much more! So during your “jet lag day” perhaps you have seen the City of Sails otherwise known as Auckland, had a wander through New Zealand’s largest city. Now it’s time to hit the road to the fantastical Bay of Islands where beaches are plentiful. Boat tours are one of the best ways to explore the islands of the “Winterless North” and spotting pods of dolphins are not that uncommon! After a day in the bay, make you’re way back to the big city where you can treat yourself to a harbourside dinner or see the city lights from the Sky Tower at night! Find out more about Paihia in our Bay of Islands – Guide for Backpackers. For all you Lord of the Rings fans out there, head down from Auckland to Matamata to experience The Hobbiton Movie Set. Stroll around the Hobbit holes and learn about the behind-the-scenes of one of the most popular movie trilogies of all time. Then end your day in the geothermal hot bed of Rotorua where you can experience an evening Maori cultural show, relax at some mineral hot pools or wander around the town’s free geothermal park, Kuirau Park. Alternatively, for you Hobbit-haters, head straight from Auckland to Rotorua to spend more time exploring the geothermal parks and Maori shows. Find out more about Rotorua in Rotorua – Guide for Backpackers. This might be a short journey, but you’re going to want to spend plenty of time in what is considered the adventure capital of the North Island, Taupo. Whatever your buzz, you’re likely to find it here, from skydiving over New Zealand’s largest lake to bungy jumping over the mighty Waikato River. If you fancy something more relaxing, try trout fishing or sailing to the Maori Rock Carvings on the lake or a walk down to the free natural hot pools at Spa Park. Find out more about Taupo in Taupo – Guide for Backpackers. Napier is a town with a fascinating history and a whole lot of wine! Learn how this Art Deco-style city got to have such stand-out architecture by exploring the city. Once that’s done, you have a whole wine region to explore with wine tours leaving from the city and vineyards and wineries to explore by bike. Treat yourself to some famous New Zealand wine and grab a few gifts for the family back home! Find out more about Napier in Napier – Guide for Backpackers. Heading south on the North Island will eventually bring you to Wellington, New Zealand’s capital city. Your stay can’t go without checking out the highly-regarded Te Papa Museum where you can learn all about the country’s weird and wonderful wildlife, geography and history. The artistic city also has much to discover along its waterfront, as well as in the huge Botanic Garden. By night, hit Courtenay Place and Cuba Street for a big night out. Find out more about Wellington in Wellington City – Guide for Backpackers. We recommend an early-morning sailing on the Wellington to Picton ferry to enjoy the sunrise as you enter the stunning Marlborough Sounds. Soak up the scenery of forest-clad mountains that appear to rise from the sea then arrive in Picton where you can start making your way to the South Island’s main hub, Christchurch. The city is often a fascinating subject for anyone interested to see the effects of an earthquake on a city. Tours are available around the city, but you can also take a wander yourself through the Botanic Gardens and check out the Canterbury Museum. Find out more about Christchurch at Christchurch City – Guide for Backpackers. The drive is a thrill in itself as you travel through lands of snow-peaked mountains and brilliant blue lakes. A detour to Mt Cook is well worth it to get closer views of New Zealand’s highest mountain and to explore the glacial lakes of these alpine valleys. Then head southwards to “New Zealand’s Adventure Capital”, Queenstown where you are spoiled for choice with adrenaline activities. Find out more about Mt Cook in Aoraki Mt Cook National Park – Guide for Backpackers. If adrenaline experiences are your thing, you may want to opt for a full day in Queenstown where you can experience bungy jumping, jet boating, white water rafting, skydiving, skiing, mountain biking and more! For those of you who are all about the awe-inspiring scenery, take a day trip to the famous Milford Sound. The journey into the World Heritage Site of the Fiordland National Park is an experience in itself. Then take a boat cruise through the majestic fiord of Milford Sound! Find out more about Queenstown in Queenstown – Guide for Backpackers. It’s time to hit the wild West Coast! Travel along roads lines with mountains and native forest to some of the most accessible glaciers in the country. Take a helicopter flight onto the Franz Josef Glacier itself or opt for a free hike to the terminal face. From Franz Josef, continue to Greymouth. For the evening, you may want to have a classic Kiwi pint at the Monteith’s Brewery where you can also do a tour of the brewery itself. Find out more about Franz Josef in Glacier Country – Guide for Backpackers. What is considered one of the most scenic train journeys in the world, the TranzAlpine between Greymouth and Christchurch is not to be missed. Travel from the rugged forests of the West Coast and into the mountains of Haast Pass. Finally, you’ll go through the Canterbury Plains until you reach Christchurch for your final night in Aotearoa New Zealand. Christchurch Airport is a bustling international airport which is a popular place to leave New Zealand. So there it is: New Zealand in 10 Days. 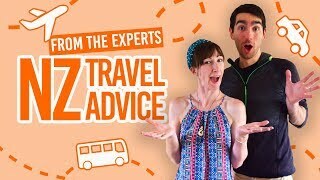 Although it is possible drive yourself to all these destinations by renting a car/campervan, the drive times mixed with packing your trip with epic activities is, well, quite frankly, pure madness! A great alternative is to leave the driving to someone else by taking New Zealand’s largest bus network, InterCity. Soak in the scenery, use the drive to get prepared for your next destination, and upload your photos/plan the next leg of your trip with the free WiFi! 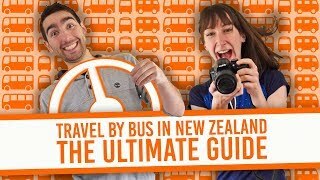 There are heaps of reasons why taking the bus is actually awesome in New Zealand. Book your Aotearoa Explorer pass around New Zealand on the InterCity website.